I was laying down in my bed when I received this email. The Instagram was a legit clothing company, with cute clothes made in Australia – so how would I even think it was a scam? Thinking nothing of this email; I replied; minutes later, I received another email stating, “Good. This is because we write from a computer. Try again to see ! Here is a product and an example of an advertising post that we want to provide,” followed by a specified Instagram product link. The way the email was written, it sounded like they had broken English which isn’t unheard of (Believe it or not, I have worked with so many companies that are legit and write worse than that) – and with that, I clicked the link provided. That’s when it was suspicious; as the link I had clicked took me to a dead end, it wasn’t working. Without thinking much of it, I went on with my day. Twenty minutes too late. While in the middle of cooking, I decided to head to my computer to see if I received any emails. That’s when I realized I had received an email from the hacker, stating that I had only one hour to take action otherwise my account will be cleared and that they will sell my account. At this point, I was a bit confused? Still trying to process everything, I noticed another email from Instagram stating my email was changed from fancynancista@gmail.com to fancynancista_1809@mail.ru – I panicked, and tried to revert the changes, but I was twenty minutes too late. The hacker had not only changed my email, but they changed my password, phone number, username, etc. In panic mode, I decided to research ways to contact Instagram support – unfortunately found absolutely no help. Really, Instagram? I thought. I went over to a Blogger Facebook group in hopes someone could help me. Coincidentally, minutes before I had my Instagram account hijacked; one of my blogger friends had this almost happen to her, but she got lucky and was able to revert the changes immediately. She called me and told me it’s been happening to a lot of people lately and the only way to get it back fast is to pay them a lump sum of money. What??? Money… she was right. The hackers were asking me for $400 in exchange for my account back. Though I brought it down to $300 – and was about to send it.. I actually thought long and hard about the situation. What are the chances I won’t be just hacked again? How can I be sure I will get my Instagram back? How much information would they receive from me if I paid? The hackers were asking me to send the money via bitcoin – which sounded so SKETCHY! $300 is definitely worth taking that risk for my business – I will give you that. And I knew a lot of people who were hacked recently ended up paying them and got their accounts back. But at the same time, I was okay with keeping that money and waiting for Instagram to get it back for me. When this happened I immediately contacted a girl I knew who had her account hacked to seek some advice. 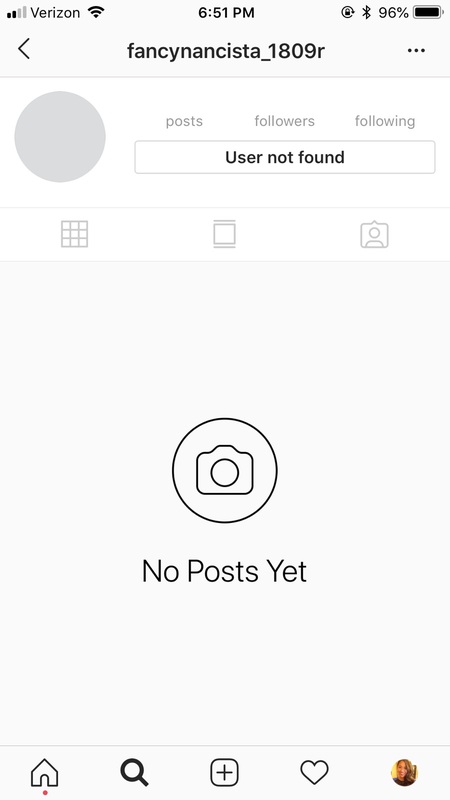 She was one of the few people that advised me to not pay the hackers and assured me Instagram has a backup of all of our accounts. She actually had helped a few other girls with their hacked accounts recently and was willing to help me with mine; so that definitely helped me to calm down a bit and rethink my options. She also assured me it wouldn’t be more than 10 days. After a few deep breaths, I decided to stop emailing the hacker and not send the money at all. I’ll admit, I felt completely and utterly lost without my Instagram. And I know it sounds crazy and hard to believe – but most of you who are non-bloggers or not really in the “social media world,” might think – “you’ll live; it’s just Instagram” or just thinking it’s not a big deal. But as an Influencer/Blogger; Instagram is more than just a platform for us; it’s a platform that helps us grow our business as a brand. Imagine spending days, weeks, and years making content, and building a following all for it to be instantly taken away from you. On the bright side, This Instagram hacked incident made me so thankful to have a blog – which is the only type of platform that you actually own. Like any other social media platform that has existed, Instagram can be gone at any time, and you should always have a Plan B. And though I was reminded every single day of my Instagram being hacked – it gave me an opportunity to take a mini break from the social media world and focus on other aspects of my business, in addition to testing my overall patience. It had been about 10 days; and I still did not hear back from Instagram or my friend – it made me a bit nervous. I heard stories that some people had to wait 5 weeks or more JUST to hear back from Instagram; which is WAY too long. When this happened, I actually had finished a few campaigns and was waiting for the paycheck – some brands refused to pay until I got my Instagram back – which made me more panicky as I am a Self-Employed Freelancer, and was counting on that check. I knew if I had to wait that long, I would also be missing out on new campaigns. I honestly had some second thoughts about paying; but decided to hold off and for the meantime use my personal account. That’s when I woke up to some fun DMs and emails from the hacker. They were getting very angry with me and as I continued to try to contact support – they harassed me even more. Not only was I now receiving more threatening emails by them, but they also went as far as finding my PERSONAL account to DM me, threatening to delete and/or sell my account if I did not pay them the money. Not going to lie; I was fired up and really was AGAINST paying them. So yes, I was already PISSED off they were going all these lengths to try and scare me. Still trying my best to stay calm; I had this crazy (really crazy) idea. If you guys know me personally, you should know I have a background in computers. Since I clearly could not get a hold of support, I decided to try and see if I could learn to hack back my own account. Yes, you heard it. LOL. I’m not going to lie, I use to be WAY smarter with coding but after graduating and pursuing this blogging career, I definitely lost my skills. And in order for me to learn how to hack it, it would take TIME, which I definitely did not have – so my next crazy idea was to find someone to hack it for me. Long gone the years where I knew smart and intelligent programming friends – so that was a definite fail. I did some research on my end and thought about it – I mean how smart would that be? Hire a hacker to hack back my account (it sounded smart at the time). Because I did some research online; I was getting contacted by several hackers – it was actually pretty creepy. One DMed me saying, “Research tells me you need a hacker; is this true?” I did, obviously, but then decided against it. When I got my account back, I actually decided to deactivate my personal account in case!! I GOT MY ACCOUNT BACK! After 2 long weeks of waiting, Instagram finally got in touch with me - thanks to the help of my external contact!! I was sending her all the updates like when they continued to harass me. She put me in touch with someone in Instagram, and on Friday, July 27th, they reached out. It was late Friday, so I did not get it back until that Monday - but I was so RELIEVED!!!! Keep an Eye Out. When my Instagram was stolen; the hackers had deactivated my account so my account could not be found. Luckily, my account was still connected to a few comment pods which I was able to check it frequently to see if any changes were made. In the beginning, they changed my account to "fancynancista_1809r," a week later, I noticed it was changed to "Instagrammer." If you are not in any comment pods, a great way to find your account is to go to a friend's account whom which you have commented on in the past, find that post and your comment. Find an Instagram or Facebook Contact. While I was patiently waiting for my account to be recovered; I continued to reach out to everyone I knew and asked them if they knew someone or had a contact within Instagram or Facebook. Even though I had a friend submit a ticket for me; it’s always good to have more than just one contact. I luckily had someone send me an external contact of Instagram/Facebook – that was definitely the most help I got out of this situation. To be honest, you can do your best to try and contact support on your own; but the fastest way to get your Instagram back is to know someone that works there. My best advice is to reach out to all of your friends and family and see if they have a contact. Maybe try to post on blogger forums; there has to be at least one person you can reach out to. The Hackers Try to Scare You. While it may be a scary and panicky process; try to stay calm. The hackers continuously threatened me and said if I do not pay in a certain amount of time (which by the way, they kept extending the deadline) they will delete my account. Yes, I believed them at first, but after talking to some other people and thinking about it – at the end of the day, the hackers don’t want your Instagram, they want your money. So if they deleted it, there would be no value to it – so why would they do it to begin with? Instagram CAN Get Your Account Back. It may take some time for Instagram to get a hold of you, especially if you have no inside contact; however, Instagram CAN get your account back. Instagram owns this platform; and regardless of who has your account, they will give it back to the original owner. I am 99% sure Instagram also has a backup of your account. So if the hacker has changed your email, username, name, and password; it doesn’t matter. When Instagram reaches out to you, they ask for your original account name and email address that was associated with that account – and will then reset it for you. Continue to Make Content and Focus on Your Blog. Don’t ever stop working! Though Instagram is a big part of our businesses today; your blog is your own baby, and you should always still be focusing on growing it. Always, always, ALWAYS keep making content. This allowed me to be ahead of my game! When my Instagram returned; I had so much content to use for the upcoming weeks. Focus on other Social Media Platforms. During this time, I also was able to focus on other social media platforms that I tend to neglect because of Instagram. Some platforms you should start thinking about are Pinterest and Facebook. 1) Create a Unique LONG Password. Is your password secure enough? Before this, I had been using the same password since high school and was pretty damn easy. After the hack, I changed all my passwords and made it nearly impossible to guess (well let’s hope so). I heard the best way to make sure your password is secure is to make it 20 characters long; mixed with letters, numbers and symbols. Yes, I’ll admit, I made mine so hard, I kept forgetting what I changed it to. Then I used apps like Dashlane or LastPass – which are great apps for managing passwords and creating new, uncrackable ones. 2-Step verification adds an extra layer of security to all of your accounts; Instagram, Facebook, Twitter, Google, etc. In addition to your username and password, you’ll enter a code that the platform will send you via text or voice message upon signing in. 3) Always Triple Check Emails and Don’t Click Suspicious Links. I honestly use to just breeze through my emails and not even think twice about checking the sender’s email address – and that’s how I got into this mess in the first place. It is CRUCIAL you don’t want to make the silly mistake I did. Triple check the email and any of the links included (hover over the link and see what it says at the bottom of the screen). Though this was a very (test-my-patience) unfortunate event - I connected with SO many other amazing bloggers that I probably would have never met if this didn't happen. I was so overwhelmingly surprised at how much support and help I received from each and every one of YOU! I am feeling so grateful to be a part of such a wonderful community! I also feel like everything happens for a reason. Sounds crazy, but we are tested everyday and I believe it's possible that something good might even come out from this? Who knows!! 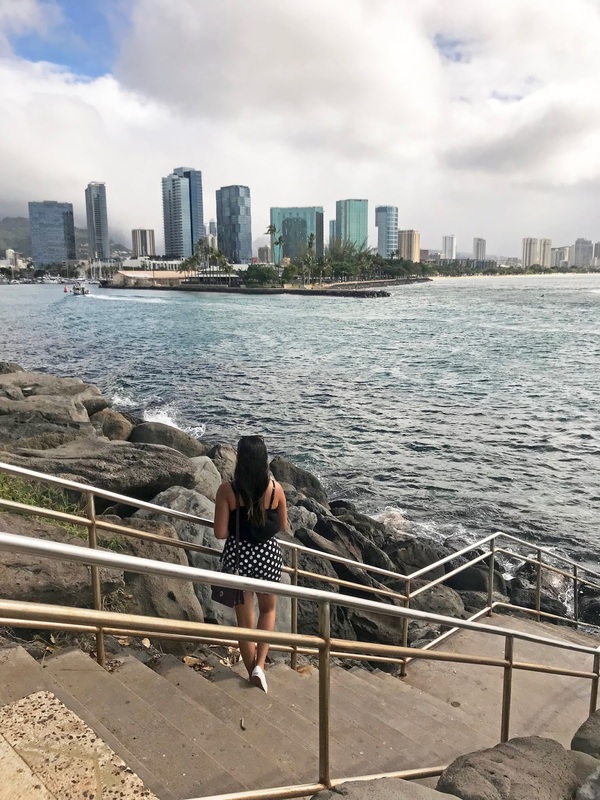 Overall – this experience has allowed me to be more self-aware and more motivated to focus on my business as whole, meaning not only focus on Instagram, but also my blog, and other social media pages, Twitter, Facebook, etc. It's also very IMPORTANT you have a backup plan. Instagram can be gone tomorrow or the next day; it's better to be prepared than not. I hope this never happens to you - or ME again. But as I am writing this - the hackers are BACK at it! So please be careful – and hope this article gave you some insight! If you have any questions or comments, please feel free to let me know below!